Book Description from Amazon: What is the worst sentence that can befall a convict in Illinois? Not life in prison, not lethal injection. 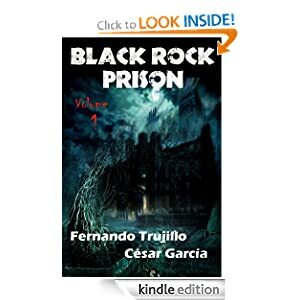 The worst punishment is to be sent to Black Rock Prison, a black-walled fortress whose exact location no one knows. The new warden of this unusual prison controls every dimension of each and every one of the convicts unfortunate enough to be sent there. The inmates soon will discover that they are not normal people, nor have they been imprisoned there by chance. The sentences awaiting them will be carried out in the shadow of a sinister threat. It isn’t long before they find out that much more than their own lives is riding on solving the mystery of Black Rock. Found the book on the Amazon free kindle section for my Asus Transformer. The book quickly jumps from person to person with a mystery person their only link–but that isn’t apparent until much later. The whole book left me feeling confused from beginning to end and I felt cheated that it wasn’t a Novel, per se, but an introduction to a much larger series. Nothing is finished in this book, rather, you are led to buy the rest of the series. To be fair, they do say it was intended to be a television series or some such thing. So, maybe this is the pilot episode turned novel series. The characters are fully developed, even the main character, whose thread is woven and interwoven into all the secondary characters who carry the loosely themed paranormal vibe, throughout. What we get are heavily emotion-laden characters, with unfairness, deceitfulness and untrustworthiness. Personally, I felt cheated when a brand new person is introduced at the very end of the book, with nothing finished. I probably will not be looking for the rest of the series. Wertfrei Wednesday: Would I have Listened?